Like the entomology of the word 'mafia', the history of Sicily and its relationship with the Mafia is very eclectic. 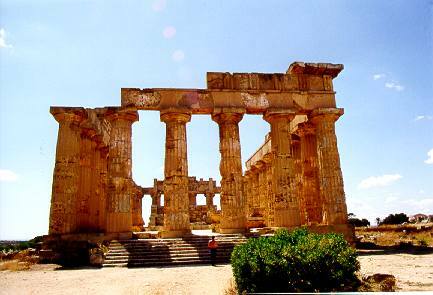 Because of its geographic location, Sicily is a desirable location for trade and colonization. It was and continues to be a gateway to the Mediterranean, North Africa and the Adriatic. The 'mafia' is generally thought of as an Italian secret crime society, but the origins of the Mafia start way before the onset of automatic guns and cocaine. The Mafia began as a way of life: a way to protect one's family and loved ones from the injustice of the government. Only later, with the onset of the media, television and Hollywood did the Mafia take on a glamorous air it now has. So, one might wonder what environment fosters such violence and slander, as well and family and camaraderie among men? Sicily's violent and oppressive history of government and its numerous corrupt and inconsistent rulers (especially in regards to its justice system) nurtured an atmosphere of self-reliance and cooperation among the people. This reliance and respect was induced by fear, instilled by violence and threats, and backed by a bureaucracy of family and friends. The latifundia also set up a new system of justice. Having different areas of land under the jurisdiction of single men and their personal gangs, made the discrepancy between the judicial decisions of one area versus another distinctly different. The people of Sicily contested this inconsistent rule, but the landlords' influence in Rome was great and thus these men were able to maintain their positions of authority. Although the Roman's actions in Sicily have no direct consequences in the creation of the Mafia, they did set up the social structure of hierarchy from which the Mafia would emerge. Symbol in Arabic meaning "Allah"
Internal justice and the subordination of women became commonplace in Sicilian society and was later adopted by the Mafia. This can easily be seen in the Godfather II when Michael is dancing with his wife, Kate, at the party for their son in the beginning of the film. Here she pleads with Michael that he promised to make the "family business" legitimate, and he tells her he is trying. But this is a blatant lie to keep her away from the business and to maintain her innocence and inability to harm him in court. The Normans were next to annex Sicily, in the 11th century. The Norman presence only magnified the system of feudalism established by the Romans, creating a system of vassals - or estate managers who were loyal to the king. These men and their landlord bosses, like the Romans before them, were hard to control and thus created a system of inconsistent justice that raged across the island. These discrepancies in justice created an environment of angst between rulers and subjects. This rift, opened so long ago, made men create small groups and deal with their problems internally rather than take them to the authorities. The combination of the Arab notion of internal justice and the Norman judicial failure to balance justice across geographic space left significant scars on the Sicilian notion of government and judicial system. By this time the most important unit of people in Sicily was the family, and this remained true in the future. This unit is where the Mafia shown in the Godfather films gains its original validity. The Spanish occupation of Sicily had important repercussions on the creation of the Mafia. Until now the invaders and conquerors of Sicily were important to lending cultural and social beliefs to the inhabitants, and preserving these traditions among the people. Like their predecessors, the Spanish contributed cultural traditions into Sicilian society. They are very important because with their rule came censorship of outside information from mainland Europe. Almost opposite of the Arabs, the Spanish limited the information that flowed to the island (Servadio, pg. 7). This was especially significant because during Spanish rule the Italian Renaissance was born, reached its zenith, and then ended with its move to Rome and the emergence of Baroque. This withholding of information kept the Sicilians from receiving any of the artistic, scientific or agricultural miracles of the Renaissance. (Servadio, pg. 7). The Spanish ruled Sicily until 1860 when Garibaldi took the island back as part of Italian Unification. Feudal organization continued under the Spanish, and the discrepancies of justice from estate to estate only became greater. The justice was expanded when the Spanish embarked upon the Inquisition. In 1487 it had a strong grip on Sicily, and used this to further subordinate the Sicilians. Powerful Christians had their taxes lifted, while others were financially burdened further with additional taxes. Using fear and intimidation, the Spanish held the power to take the life of any Sicilian or to subdue groups by force and violence. Like the dissent to mafia, the Spanish government covered up any rejection of the Inquisition. (Servadio, pg. 7) These discrepancies between estates with regard to justice created a more intense need for internal justice, which could be regulated by the groups rather than by solely the leader of the area. This is an early form of the Mafia. In the feudal system that was firmly implanted in Sicily there was no representation of the people. People in public office were not subject to the guidance or critique of their superiors, and thus had no rules of regulations on their actions. Because of these conditions the people began to organize themselves into guilds. The guilds emerged as a way to train personnel and trade goods, but also served as a kind of judicial system. 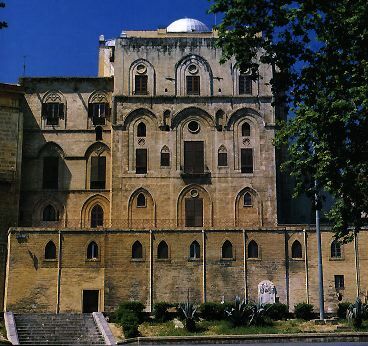 Unlike other European guilds, Sicilian guilds took care of judicial problems internally, without the inclusion of the local or state authorities. (Servadio, pg. 8) The family mirrored internal justice, reflecting the actions of the guilds. This was another step toward the inception of the formal mafia. The vertical structure of the feudal lords, their gabelloti and campieri, almost parallels that of the Mafia. The lord in charge, like a given Don, doles out orders to his next inline, who then passes the message on further out of the cosca (meaning artichoke heart in Sicilian dialect) finally reaching the man who will carry out the order. In the earliest days of the rural Mafia the gabelloti were the men who ordered the murders and crimes, and the bandits carried out the crime for a small stipend, never really knowing whom they were working for (Servadio, pp. 26-27). 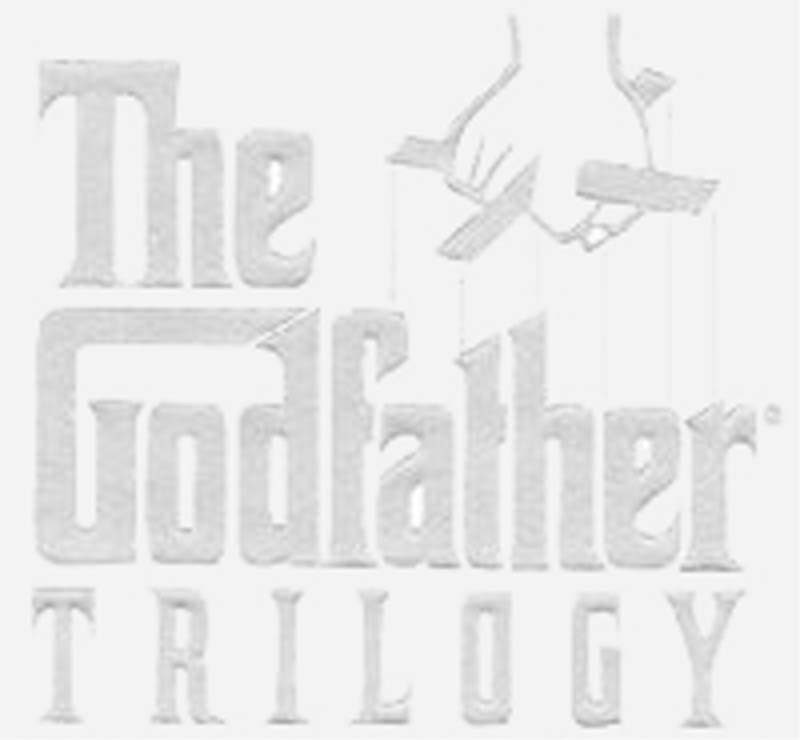 This new order, set up by the large landowners and carried out by their bureaucracies, is the most direct basis for the Mafia (Lauri-Lucente, Comp Lit 350, Lecture: January 12, 2000).
." (Servadio, p.14) Thus it is clear that as the brotherhoods began to unite themselves with the government and became a stronger and more formidable force in Sicily's justice system, they were also gaining political ties that would allow them to carry out their business without interaction from the authorities. In 1860 Garibaldi, the Italian commander in the struggle to unify Italy, landed in Sicily and after kicking out the Spanish, declared himself dictator and set a new ruling class of governors while Italian Unification was being debated in Rome. 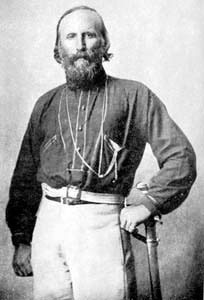 However, this had little actual effect on the Mafia, for Garibaldi chose men who were in the upper crust of society, and these men already had ties to the Mafia. During this period of uncertainty, crime and violence surged. A vote was cast that year to unify Sicily to mainland Italy, only one percent of Sicilians voted. To vote one had to be literate, and this meant that the people who voted in Sicily were the rich or magistrates, which made it drastically different than the North. In the north the bourgeoisie were active in the development of capitalism, however in the South, especially Sicily, it was the landowning classes and their allies who fought for the Risorgimento. Sicily's majority did not want change. They had been fighting different governments for centuries, and were not prepared to be overthrown again. They had created their own economic markets and judicial system (a.k.a. the Mafia), and from these institutions they were able to thrive. Even though it was a system where fear and terror created loyalty and respect, it worked for their purposes, the thus they did not want change. Integrating Sicily into Italy proved very difficult for the new Italian government. They were incessantly battling with Mafia groups for power: power in political, legislative and judicial systems, as well as in the social construction of the island. From Sicily's historically bad and disorganized legal system came a public appreciation for private justice, and so the Mafia became a strong influence in the judicial and political systems of the island. Thus it had state power in addition to its socio-cultural power. From this "The Italians realized that no Sicilian government had ever been able to stamp out criminality because the Mafia had for so long been the only form of stability." (Servadio, p. 34) The Mafia took on independence from Italy in addition to keeping justice alive on the island. However, this allowed the to influence higher officials in Rome, along with their usual officials of Palermo. The new Italian government made the gabelloti and other locally powerful men (usually Mafia Dons) the local and rural administrators. The local authorities were expected to reciprocate the favor by beguiling support from the peasantry and other groups within the region. Those opposed to the Mafia's way of running things was promptly eliminated, in what became a string of political assassinations. 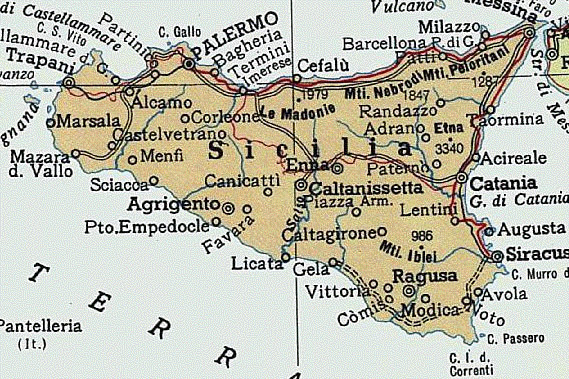 In the Parliamentary Commission of 1867 the redistribution of land was considered a success, along with the restructuring and expansion of education in Palermo. However, with the exception of the creation of schools, it was an utter failure. The commission also advised building roads and railroad tracks and lessening laws and funding for combating the Mafia. It is seems apparent from these decisions that the Mafia had a hand in influencing the politicians who wrote this commission. While Italy strived for international recognition, they understood that like the empires that had ruled Sicily before them, that Sicily was an important place for power to manifest. It showed the rest of the Mediterranean that the Italians had succeeded in gaining control of Sicily, and hence political legitimacy. However, this shows that the Mafia already had strong ties to legitimate institutions (Servadio, p. 34). The Mafia was not just gangsters, even from the beginning. There were those who carried out the dirty work, but the leaders were more political and economic thinkers than thugs. Until 1876 there were no inquiries into the Mafia: how it functioned, and its administration were still very much clouded by its mystique. But in 1876 two Tuscan deputies, Sonnino and Franchetti conducted an unofficial inquiry into the lowest classes of Sicily. They arrived in Sicily unannounced and interviewed the least important people, as to not raise suspicions. This way they were able to understand the everyday intricacies of coexistence with the Mafia. After finishing their study, they concluded that the Mafia was a fungus on Sicilian society, which was deeply rooted in culture, politics and everyday life. " Sonnino and Franchetti's investigation is considered one of the most in depth and realistic accounts of the Mafia (Servadio, p 42). It was the first to probe into the everyday reality of the Sicilian life to understand how the Mafia affected everything in society. Before this study the working and effects of the Mafia were only understood from a political and economic vantage point. This investigation shed light on the modern interpretation of the Mafia and how it affected people on an everyday basis. Understanding how the mafia influenced ordinary, everyday life is central in understanding the Mafia. It not only explains why Sicily allowed these impetuous men to rule and dictate law, but also how these men aided the lives of those they helped and protected. It is precisely Sicily's varied history and multiple governments that led to the creation and necessity of the Mafia. Sicily's long string of judicially inept governments fostered an environment where those who were wily enough could manipulate the system to their advantage, creating wealth, power and prestige. 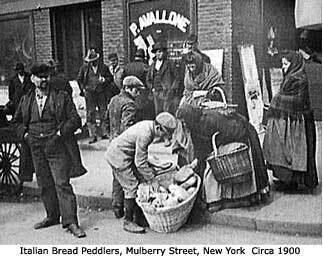 By the turn of the century the Mafia had become very powerful and widespread throughout Italy in the face of widespread unemployment and poverty that permeated not only Sicily, but the rest of Europe as well. Many of the underprivileged began to immigrate to America to find better jobs to support their families. It is speculated that this is when the Mafia formally entered America and began to set up shop. By 1922 Mussolini had taken a firm grip on Italy and began to crack down on the Mafia, either sending them to prison or assassinating them. Mussolini's wrath pushed more and more Mafiosi out of Italy and into America. Al Capone, the notorious leader of the Chicago Mafia during and after Prohibition, was arrested and imprisoned at Alcatraz, in San Francisco, CA in 1936. After his arrest, Chicago fell to the wayside, while New York emerged as the center for the American Mafia. It was then, after Capone, that "Lucky" Luciano became the 'cappo di tutti cappi', or the 'boss of all bosses'. He moved organized crime from backrooms and smoky bars to more profitable area of big business. With his help Bugsey Siegel, a infamous Jewish gangster, built a huge casino in Las Vegas and began legally doing the things they were doing back in New York: gambling and prostitution. Although Siegel was killed before he could really reap the benefits of his operation, Las Vegas emerged as the new hot spot for gangsters from around the country. Luciano, unlike his predecessors like Capone, included men in his organization who were not Sicilian let alone Sicilian. This made his organization hated by more ethnocentric organized crime organizations. This hatred eventually ended in a series of gang wars between the various organizations that ravaged New York starting in the mid-fifties. By 1957 a new man emerged as a powerful Don, after killing some important Mafiosi. This man was Carlo Gambino. He would eventually build a powerful reputation, and his family would become one of the current five most powerful Mafia families in New York. family. However, there was concern among the lower ranking men that he was "greedy" and not good for the family. One of these men decided to take action. In 1985 Castellano was killed by John Gotti, who then emerged as the boss of the Gambino Crime Family.